The Creating Good Work Collection (CGW Collection) for Social Justice is a non-profit funding program that accepts donated works of fine art from established artists, estates and socially-influenced collectors. The collection then sells these works to corporations, institutions and private collectors interested in supporting non-profit justice-based groups. Sales will be made through branded, pop-up gallery exhibitions, private sales, and art auctions. The proceeds will then be distributed to fully-vetted justice-based organizations worldwide. Operating in partnership with the Tom and Ethel Bradley Foundation and Aragon/LaFleur Fine Art, the CGW Collection provides all accepted donated art pieces with professional appraisals, professionally secured storage and fully-accounted annual reports on their sales and condition. All donations will receive complete transparency into their disposition and sale, along with documentation as to which organization the CGW Collection has forwarded its sales revenues. The CGW Collection accepts donations from artists, estates, and foundations. These donations are then professionally curated, catalogued and presented for sale in prestigious sales and exhibitions dedicated to the collection. Online sales will also be supported. Donor-advised art donations will be accommodated as long as they meet the CGW Collection’s fully-vetted criteria. The proceeds from these sales go directly to vetted 501c3 and social entrepreneurial organizations working within the justice movement. Currently these organizations include: International Bridges to Justice (IBJ), The Echoing Green Foundation, The Coalition to Abolish Slavery and Trafficking (CAST), Apopo, the Well Being Project, and Witness. The Tom and Ethel Bradley Foundation will act as fiscal agent. 10% from each sale will be used to cover The CGW Collection costs and administration. The Creating Good Work Collection will be marketed to corporations, investment groups and foundations interested in supporting justice-based organizations and causes. The collection will be made available to private collectors through exhibitions and on line. 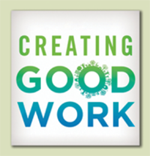 We invite you to enter the Creating Good Work Collection. For more information contact CGW. International Bridges to Justice trains, supports, and connects defenders worldwide to end torture as an investigative tool and ensure due process rights. Now in their 18th year of operation, they have effectively done so in 12 countries and are currently working in 42 others. Echoing Green is a Social Innovation Fund that acts as a catalyst for impact. It spots emerging leaders early in their careers and invests in their success and it has been doing so for 30 years. Echoing Green provides seed-funding, leadership development, hands-on support and networking opportunities during their Fellowship and beyond. Their unparalleled community consists of over 700 social innovators. WITNESS is the global leader in human rights video, working side-by-side with local communities to harness the power of video and technology in the fight for justice. They help, activists use video to garner awareness, document evidence of war crimes, change discriminatory laws, secure justice for survivors of gender-based violence, and protect indigenous lands against extractive industries. Since its founding in 1992, Witness has partnered with 425 organization, trained over 7000 people and have represented work that has taken place in over in over 100 countries. In 2017 alone, one million people accessed witness’ resources. 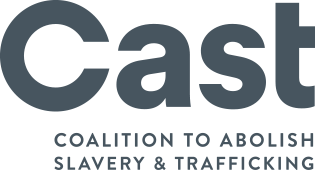 CAST is the nation’s largest provider of comprehensive, life-changing services to survivors of slavery and trafficking and a leading advocate for ground breaking policies and legislation. For two decades, CAST has supported thousands of survivors on their road to freedom, from counseling and mentorship to legal resources and housing, to education and leadership training. Annually, CAST empowers over 350 survivors, provides over 6200 legal services, takes 1500 hotline calls and provides nearly 7000 social services for its clients. 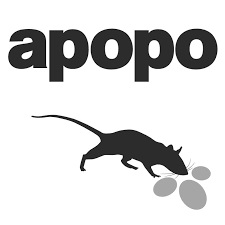 For 20 years, APOPO’ scent detection rats, nicknamed “HeroRATs” have helped rid the world of landmines and tuberculosis. In doing so, they have returned safe land back to communities for development and freed people from serious illness so they can get back in their feet. Over 60 countries are contaminated with hidden landmines and other explosive remnants of war and slow and inaccurate detection methods make tuberculosis the world’s most deadly infectious disease. Amazingly, the HeroRATs’ keen and APOPO-trained sense of smell detects TNT in landmines and the scent of tuberculosis in human sputum. They then alert their trainers to the lurking dangers. 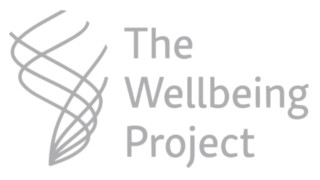 The Wellbeing Project is cultivating a shift in the culture of the field toward one that is healthier and supportive of inner wellbeing for all those working to effect social change. The project is structured in four pillars which all play a vital role and contribute to the larger mission of support and growing the wellbeing movement. The Wellbeing Project is co-created with Ashoka, the Esalen Institute, the Fetzer Institute, the Impact Hub, the Skoll Foundation and the Synergos Institute. Gender sensitivity amongst teenagers - Prevention of sexual harassment & discrimination at the workplace - Diversity and Inclusion in organizations - Understanding consent & healthy relationships. Red Dot has also effectively used community-developed art projects to end sexual harassment of women around everything from public toilets to workplace encounters. One of the most significant services provided by the CGW Collection for Social Justice is its program to sell Donor-Advised Art Donations. Many non-profit organizations receive donations of fine art that they are unable to turn into the kind of support they require. The CGW Collection for Social Justice will accept Donor-Advised pieces of art and bring them to the marketplace, returning proceeds from their sale directly to the donor organization.